Are your fascias, soffits and guttering looking tired and in need of repair? 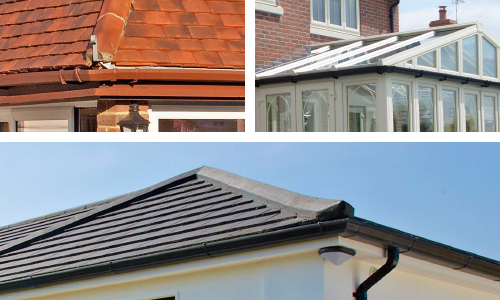 Your fascias and soffits are important for stopping water ingress and help protect your roof-space from bird and insect invasion. We replace all your old timber fascias and soffits and replace them with hard-wearing PVCu including concealed ventilators, felt trays and eave comb filters. As standard while we are replacing your fascia’s and soffits we will also renew your guttering and down-pipes as part of the job. Systems come in either half round, square or ogee profiles in a choice of colour to suit your property.